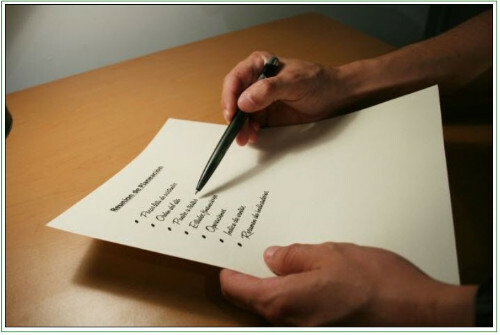 Everyone involved in the appraisal process desires the process to work smoothly. But a routine appraisal is not the effort of the appraiser alone: it is a team effort between the appraiser, the property owner, and the lending institution. Since lenders have a longstanding relationship with many of their clients, they have the ablity to work proactively for the effectiveness of the appraisal before the appraiser even begins his work. Here are five ways that lenders can prepare their clients for an appraisal. Inform your client of the appraisal. Our first phone call to the property owener or occupant can sometimes be turbulent. The owner has not always been notified that an appraisal has been ordered. When we call them, these owners are often angered or dismayed about the appraisal, because they fear that the bank is taking some action that will be disadvantageous to them, or that the appraiser will share information with the governent that will lead to a tax increase. The lender can help us avoid these tense conversations by explaining to their clients that an appraisal has been ordered and why. Inform your client of the physical inspection. While most people know that an inspection is part of the appraisal process, some are surprised at hearing that an inspection is needed. Again, they are not only surprised, but usually very uncomfortable with the idea of an inspection, since a stranger will be walking around their property, checking their buildings, and maybe even inspecting their house. Once again, the lender can prepare their clients for this process by telling them ahead of time. Be sure to specify that the inspection is both interior and exterior. Inform your client of information they might give us. Oftentimes the property owner stands the best chance of providing us with information we need for the appraisal. However, they very often do not have this information at hand, because they did not know they might need it. The lender can give them a list of information to gather before the appraiser calls them. In general, you can usually expect us to need deeds, legal descriptions, surveys, recent tax bills, and leases. Inform your client of our projected completion date. Some borrowers are more interested in appraisals than others, and such people usually want the appraisal finished immediately. Since this is generally not possible, their next desire is to know when the appraisal will be done. At Spurgeon Appraisals, we practically always give lenders estimated completion dates for our appraisals. Informing the client of this timeframe should be helpful to them. Inform your client that we can only disclose the appraised value to the lender. According to USPAP, we can only disclose our appraised value to our client. When a lender orders an appraisal from us, that lender is our client. This arrangement is often a cause of consternation for property owners and real estate agents, who believe they are automatically entitled to know the appraised value. Lenders can help us defuse their anger ahead of time by explaining these regulations and by promising to share the appraised value as soon as the report is complete. When you contact Spurgeon Appraisals, you can be certain that we will deal with your clients in a professional and efficient manner. But our efforts are greatly helped by those lenders who keep their clients informed during the appraisal process. With your help, we can all be certain of completing appraisals in a quick, hassle-free manner.